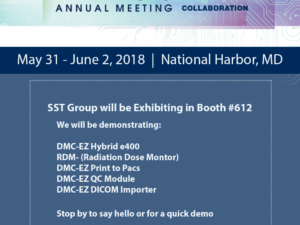 RSNA RDM Peak Skin Dose and Organ Dose - SST Group Inc.
Over the last decade we have seen dramatic improvements in medical imaging for diagnostics, interventional and image-guided surgery. With these advances, many best practices have been put in place to protect the patient from over exposure to radiation dose. Practices such as ALARA have become a standard in radiology across the United States. 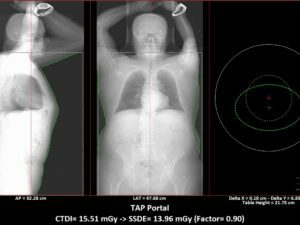 So how do we get even better with regards to controlling and monitoring patient dose during these ionizing imaging procedures? 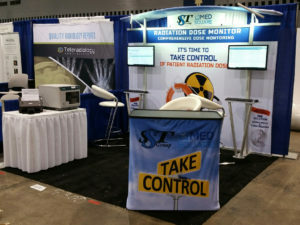 SST’s RDM (Radiation Dose Monitor) solution is the most comprehensive dose monitoring and tracking system in the world. 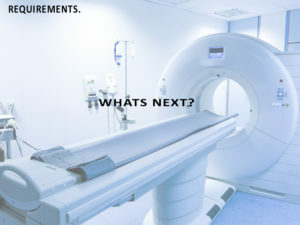 It allows facilities to meet the spirit of the evolving DOSE regulations in the United States and also meet the very stringent regulations imposed by the European Union with its Euratom/2013/59 directive. 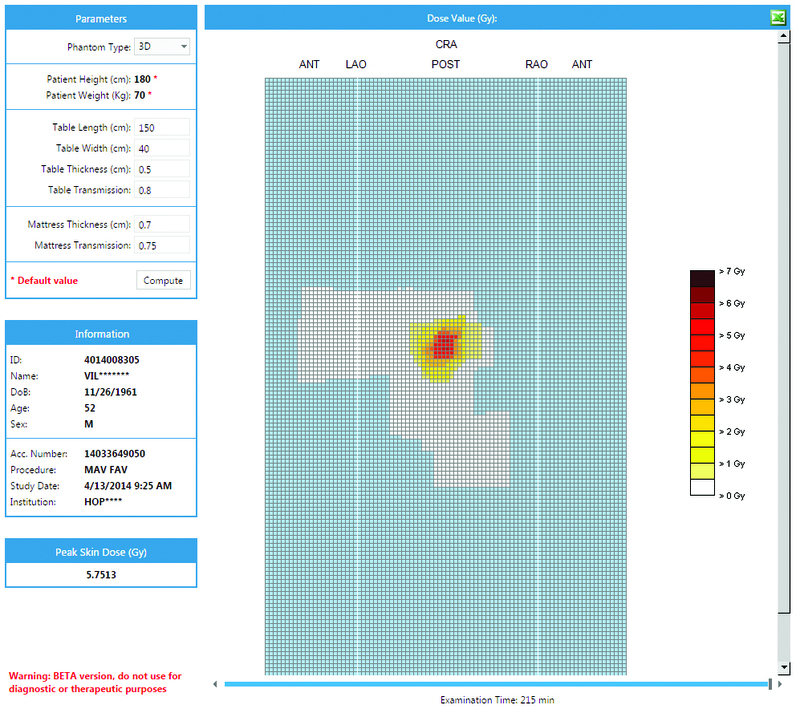 We feel it imperative that our customers not take shortcuts when considering dose management software. They must look at global best practices when managing their patient population. Peak Skin Dose module provides a complete picture of skin dose applied to patient during Interventional and image guided surgery. 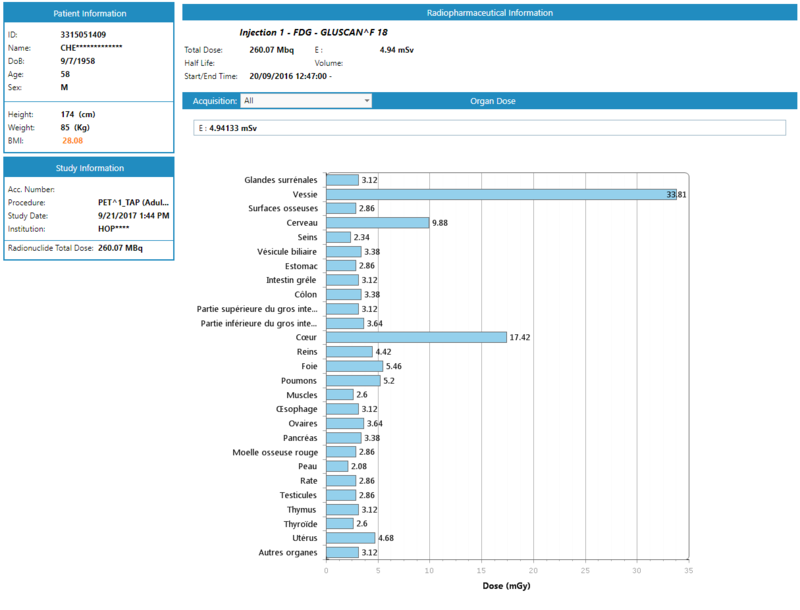 RDM provides a Graphical presentation in 2D or 3D of the skin dose and calculation of the Peak Skin Dose (PSD). It takes into account the contribution of backscatter radiation, table and mattress attenuation, etc. in the cumulative dose to the skin per square centimeter. It also allows you to see the dose at a particular point on a dose distribution graphical presentation as well as visualization of the skin dose evolution during the whole procedure with the aid of a time scale. 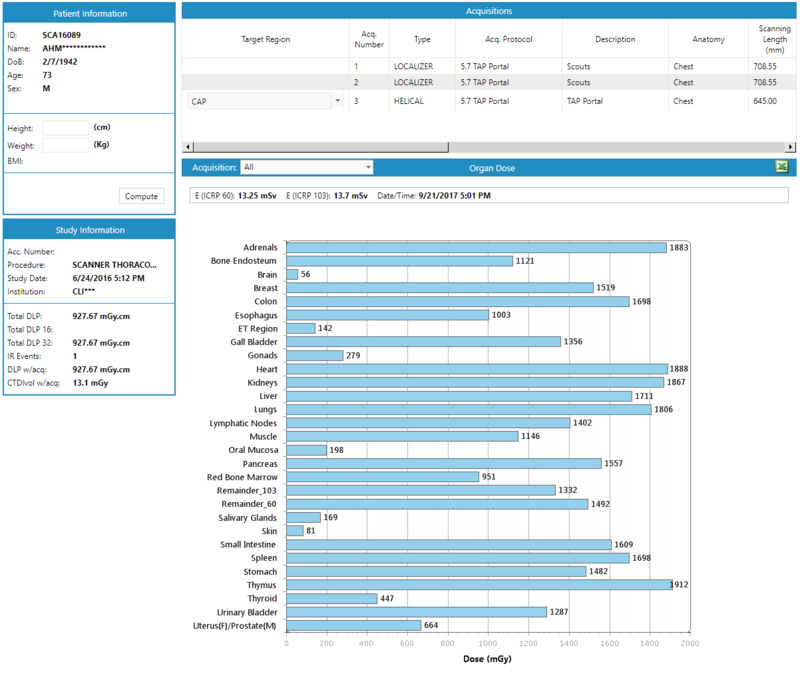 Organ dose module allows your facility to track organ dose for both CT and PET/CT as well as Nuclear Medicine organ dose during PET/CT procedures. This includes the estimated dose received by fetus during the different stages of gestation (3, 6 and 9 months). Other items taken into consideration are the weight, height, age, etc. 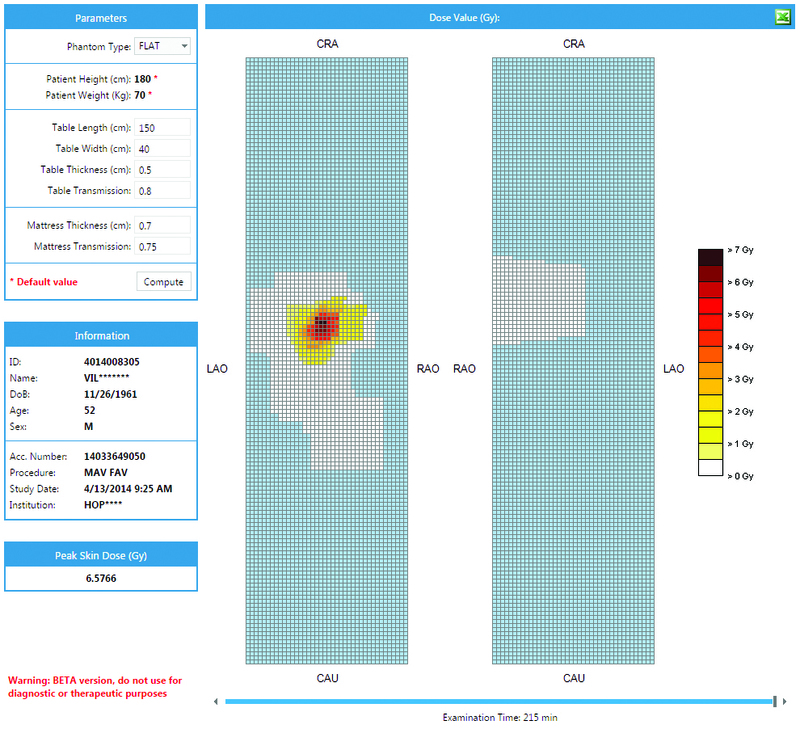 Let SST’s RDM help your facility put patients first with a complete picture of their ionizing dose?